This NC Permit Test, with multiple choice questions, is intended to help you prepare for the North Carolina written knowledge NC Driver License test that is required before you can get your driver’s license. Passing the NC DMV practice test is as easy as 1 2 3 using our online interactive driving practice tests with high quality images. Study for this driver’s license practice test is completely free. Driving is a legal privilege and responsibility. In North Carolina it is against the law to drive a motor vehicle on streets and highways without a valid driver license. The knowledge test is about traffic laws and safe driving practices. Before you take the DMV permit test, you can take our practice tests. These tests include everything you will need to know for the real test. Pass the first time by taking our free NC permit test. We offer the practice tests in both English and Spanish. Pass the first time by taking our free NC driving test. 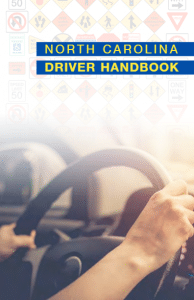 Over 200 question and answers are taken from official NC driver handbook. Prepare for your permit test with our practice North Carolina driving test. Gain access to 100s of practice questions and pass your permit test the first time! Free online written driving test for North Carolina. Online permit test software for learner’s permit driver knowledge test. When you’re sitting down to take your NC DMV Practice Test and finally get your license, what will your thoughts be? Are you thinking “I’m nervous or I can do this,” or “I have no idea what to expect”? You definitely don’t want to be thinking the second one. As any student knows, the worst kind of feeling is sitting in front of a test and feeling utterly unprepared. Suddenly, nerves start kicking in, and before you know it, your mind blacks out and you can’t remember even the most simple facts. Fortunately, you don’t have to be that person. In fact, we’ve gone through lengths to ensure that you’re not! To help you prepare for the test (and avoid that dreaded black-out feeling), we’ve created no less than seven practice tests specifically designed to help you pass your permit test. The questions are specifically tailored to road signs, traffic laws and other necessary information as it applies to North Carolina, so you don’t have to worry about studying something that may not apply to your state. By creating more than one, we’ve also ensured that you can take a test to gauge your knowledge, study some, and then take another. Or you can take them all, looking to see just how many you pass! By the time you’re done, there won’t be any nervous feelings left. Contact us for any information you need about getting your North Carolina Permit Test! If you are at least 15 years of age and have completed an approved driver education course that meets North Carolina requirements and can present a Driving Eligibility Certificate (issued by the public school system), or a high school diploma or its equivalent, you may apply for a Level One Limited Learner Permit to operate vehicles requiring a Class C License. If you have completed a defensive driving course, you may be able to save on your auto insurance premiums when buying new or used car either by financing, leasing or through bank car loan. Spanish version now available.